I wonder if Big Z's shoulder is sore from all the pointing! Maybe the Rays will be around come playoff time...after watching them face both Chicago team's, no squad has the combination of speed, defense, a solid bullpen, no expections, and no pressure from the few fans in the stadium. 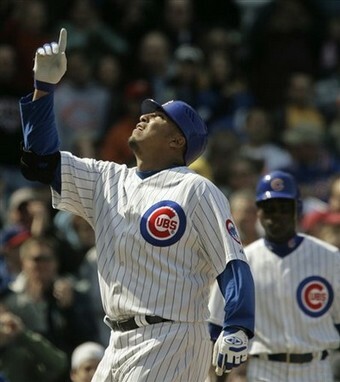 As for watching Zambrano's ackward throw and what it could mean for the Cubs, with a loaded line-up, decent starting pitching depth, and enough $$$ to find somone easier than Vivid Entertainment can find a damaged newbie for "18 and Ready for Fun", there's nuttin' to worry about Cub Fans. To prep you like a fluffer in the Adult World for the Wrigleyville Weekend of Madness, make sure to check in tomorrow for my position by position breakdowns...and for each player that I deem worthy for the Greggy 's Chicago All-Star Squad, I'll have a hottie in minimal attire that most reminds me of that player...talk about MFin journalistic creativity Homeboys! ...it all depends on what kind of mood your in! * If you only read this when you get my 2:00 pm email, that’s your fault for not checking earlier…I mean, who doesn’t like a little thong action at 10 AM?! I'm rolling out Homeboys, but make sure to check back tomorrow for my Crazy Cubs/Sox Breakdown! This page contains a single article from June 19, 2008 10:12 AM. The previous days article was Home of Greg Gamble's Daily ATS Picks. 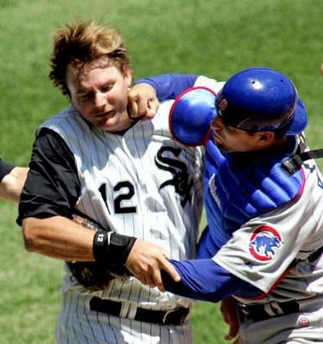 The next days article was CUBS SOX BREAKDOWNS BY GREGGY G.